Part 1 – Can A DOT Medical Examiner Refuse You A Medical Card Unless You Have A Sleep Study Done? Part 2 – DOT Physical And Sleep Apnea Testing: Are Medical Examiners Caught Between A Rock And A Hard Place? Obstructive sleep apnea is a medical condition that can have serious consequences if not treated. If you have reasonable suspicion that you have sleep apnea, it’s recommended you investigate it further, see your primary doctor and do a sleep test if necessary. The best thing you can do is to be proactive – before it becomes an issue for your medical card, and before it becomes a serious issue for your health. How Can You Be Sure You Have Sleep Apnea? First understand the signs and symptoms of obstructive sleep apnea. There are a number of way doctors can diagnose sleep apnea. A PSG can also be conducted in-home, but may not be as accurate as in-laboratory. Other acceptable diagnostic methods are recording devices, as long as they include at least five hours of measurements of oxygen saturation, nasal pressure, and sleep time / wake time. The severity of obstructive sleep apnea is measured by the Apnea-Hypopnia Index (AHI). Your AHI level is obtained during your PSG sleep test. If you require treatment for OSA, you should be referred to a physician who has expertise in managing OSA. In most cases your doctor will recommend a Continuous Positive Airway Pressure (CPAP) machine, which assists with inhaling. In more severe cases, a BiPAP machine may be needed, which assists with inhaling and exhaling. Another option is a surgical procedure to remove tissue and widen the airway. The following recommendations were made to the FMCSA by the Medical Expert Panel. Diagnosed with mild to moderate OSA (AHI <= 20) AND has no daytime sleepiness. Does not need to be treated with CPAP. Diagnosed with moderate to severe OSA (AHI greater than 20). Must demonstrate satisfactory compliance with recommended PAP therapy and report that OSA is being effectively treated. When you first start using CPAP you will be conditionally certified for one month. You must show compliance with CPAP use in order for your conditional certification to be extended after the first month. If compliance within the first month is demonstrated by a compliance report, your medical certification will be extended to a 3-month card. i.e. For an additional two months. If, after three months on CPAP, you are still compliant with use, and treatment is effective, your certification can be extended to 1 year. Drivers diagnosed with obstructive sleep apnea must be re-certified at least annually. Compliance data for the year must be checked. The most effective treatment is 7 or more hours of CPAP use during sleep. Your company/carrier is allowed to impose stricter standards than those recommended by the Medical Review Board. Some companies are requiring at least 6 hours of CPAP use, 80% of days. You have been found non-compliant with your CPAP treatment. You are experiencing excessive sleepiness while driving. You’ve experienced a crash associated with falling asleep. Besides risking losing your CDL and impacting your livelihood, there are also life threatening health risks if you have OSA that is not effectively treated. You Can Manage Your Obstructive Sleep Apnea AND Maintain Your Commercial Driver’s License! Obstructive sleep apnea does not necessarily disqualify you for CDL medical certification. Treatment, along with lifestyle changes, can help you get restful sleep and maintain your commercial driver’s license. Many drivers who have suffered fatigue for a long time, and then were diagnosed with sleep apnea and treated, report that they’ve felt like a new person since since they’ve been on a CPAP machine. I am in California. I have been off work from an injury since August and so have not been driving commercially. I also have not been using my cpap much while off of work but I have been using it for the last month and a half in anticipation of returning to work. I have a medical exam this week and after to speaking with a care coordinator a full year compliance readout is expected. If they will not except a 30 day readout what are my options? FMCSA request a 30 day readout to show compliance, not a year. Your opinion is needed with FMCSA. Too many drivers are being hoodwinked on this issue. I am asking this question on behalf of a friend. He was required by a DOT doctor to take a sleep apnea test because she said his neck was too big. He took the test and the results were that he did not have sleep apnea. She only renewed his CDL license for one year instead of two years like other drivers. Is this correct? Why was his CDL license only renewed for one year since the test indicated he did not have sleep apnea? There must have been other reasons other than the OSA test. High blood pressure medications, borderline diabetes, etc. So I have a resmed airsense 10 cpap, i have to show 30 days compliance, I bought this out of pocket so it’s not linked to a provider. How do I get the data on a print out for the 30 days. The myair app says it is only viewable and your provider may be able to get it for you. I dont have a provider. What do I do? Will the sd card have it? Please help. My job depends on it. Your DOT examination provider may have a reader. See if they can get a printout of your last 30 days. Hi – my husband is trying to get clearance for DOT CPAP compliancy and the DOT doctor said he needs 3 months of compliant data and not 1 month. Everything I’m seeing online says 1 month. This is for pre-employment purposes and we live in CA. Can someone answer this question? Also, could it be a company requirement versus federal? 30 days is all the FMCSA requires. So there may be other issues that the examiner is questioning. It’s not federal and could be a request of the company and it’s policies. Well i got hit with a cpap machine i dont get tired during day and i only sleep 3 to 4 hours a day been that way since I was a kid. Now this machine makes my throat so damn sore i cant talk half the time nor can i eat. Because of the pain the doctor says i just got to live with it. I cant find a exemption. And i have a learning disability and have no education. So i guess i am screwed. Is there any type of wavier i live in NC and cant find any info on my states requirements. What prompted the need for the CPAP to begin with? I went to the doctor because my wife was complaining about my snoring. I have had three neck surgeries in the front of my neck. So I have problems swallowing and snore at night. I had a sleep study done and was positive. So I started to use a cpap. The last few months I haven’t been using it. I had no idea that it effects my cdl. Now I just scheduled my physical and they asked for a report on my cpap. Since I haven’t been using it, what do I do. Please help. I am not over weight or have a large neck. I didn’t know that this effects my cdl. Since you are supposed to be using the cpap, the examiner needs to see a thirty day readout off your machine showing a 70% compliance. That’s a FMCSA guideline and the examiners will need it to go forward with your DOT examination. I just had an “at-home” Sleep study done. Got the results today. I used Concentra in Lewiston maine to get a 90 day medical card. And one of the conditions was having to get a sleep study. I plan on calling them on Monday for some more information on my sleep study results. But thought I could ask a question here, after finding your lovely and helpful sight. I have been diagnosed with “MILD” Obstructive Sleep Apnea. My AHI is (5.1). Now does the qualify me to have to use a CPAP machine to get a 1 or 2 year medical card? On the sleep study results, the doctor noted under prescription that I should have an AUTOCPAP and limited use. For 0-6 months. I’m honestly hoping to have to avoid this if I can. I currently don’t have a primary care provider (pcp). And the 2 sleep studies in my area require referrals from a PCP. I am waiting until I get medical insurance to get a PCP. Which happens 90 days after employment. Coincidentally same time, my 90 day card expires. If you are experiencing any daytime sleepiness, then you will want to do a clinical sleep study for a better diagnosis. You may want to get a second opinion at the end of your 90 day card. I was just forced to get a cpap test in March. Admittedly I feel much better and I use to sleep 10 hrs and be tired, now I sleep 6 and I’m fresh. My question is this. I drive in a team. From when I start work one day,until I start work the next day is Usually 26-28 hours. With this time shift every day I only go to sleep 6 times in 7 days. And I only sleep 6 hours. The problem is that according to my cpap compliance I am not compliant because I only used in 6 times and about twice a week its will show I used it less than 4 hours in a day. Is there a difference in the letter of the law of 4 hrs a day and the spirit of the law which is 4 hours each time you go to sleep? The CME is advised to follow the guidelines and will be looking for the 4 hours a day with proper compliance. But they are FMCSA guidelines, not regulations. A medical release form from your doctor and an explanation may be all you need. I have been diagnosed with moderate sleep apnea since 2011, and have been using an oral appliance for 7 years. With appliance I have 0 episodes of apnea as proven by 2 separate in hospital sleep tests. Did one in 2011 and one in 2016. The Dr. at the medical exam place says that CPAP is the only acceptable treatment, and won’t renew my medical card. I read the rules on this, and nowhere does it state that CPAP is the only acceptable treatment. Tried CPAP first, kept taking it off in my sleep, so I tried this treatment and it works great. How do I get medical examiner to accept this ? Go get a second opinion from someone who understands the guidelines and regulations. I have been off of work since mid-Aug/2017 due to injury. Due to the nature of the injury, (upper extremity) and because of the length of time it took the Ins Co to approve of a surgery to fix the problem, the pain from the injury worsened by the week until I had the procedure in mid-Jan/2018. In mid-Dec/2017 I was having trouble getting comfortable enough to sleep, and using my C-pap equip wasn’t helping my cause. I stopped using the equip probably in late Dec/2017 and haven’t used it since. While I am still battling post surgical pain, I am challenged to be comfortable enough to get any meangingful sleep. I am still off of duty, but I imagine I may recover enough to resume work within the next 10-12 weeks. At that time I will have to go renew my medical card. Am I going to run into compliance problems or is it possible that I will get some consideration due to the injury situation to get waivered off of compliance temporarliy? Your advice would be greatly appreciated… Thank you. You have time to get back on your cpap and have a 30 to 90 day reading showing compliance. It would be unlikely that any examiner is going to waive compliance in this case. They all have you in a tight fix, but there really isn’t much that the CME can do for you at the moment. Stay on the insurance company and doctors office to keep things moving. If you know you don’t have sleep apnea then go to another DOT doctor for a second opinion. I was put on a crap machine about 3 years ago. I just quit my job with one company and was hired by another. They sent me to a doc for my company physical and he asked to see a printout from my machine. It shows I’m not compliant. Can the doc that the company sent me to give me a short card, so that I can get compliant. Or can he just refuse to give me a card altogether. I haven’t even started driving with the new company yet, and since I had already quit my job I no longer have any medical insurance. What do you recommend I do. My employer is telling me that he needs all of my health records, I’ve been a truck driver for 20 CDL. I’ve worked for him for 10 years and he need requested it before. Now he says he has to have a copy. Is this legal and do I have to give him my records? Because we are tired and sleep in truck stops with reefers starting and stopping all night no way we will never pass the sleep APNIA test. take the test expect to fail it and get fixed up with your CPAP machine and take it with you in the sleeper and you going to feel young again and live forever. After a couple of weeks you get up in the 53 footer and make some money and tell your lumper you’ll call them later. +year veteran do when I am disqualified? where do I get help with finding a new non- CDL Job? Am I to be put out on the street to live in a cardboard box now? What are my options? Fmsca has no rule for this do they? No medical practioner has a plan do they? I would implore any new driver to throw that CDL out the window and my advice would be never get one either, no future in it! I am waiting for my first 30 days of use ,the follow up to get Chip info,and then a return visit to my sleep clinic,before even starting to drive CDL.If I am in compliance for this month,you say I will receive a 90 day medical card ? I dint think a Trucking company is going to hire me with a 90 day card.I called Swift the other day and they said I needed a year just to train.Does this mean I have no chance of working ? Can a regular physician write a clearance letter ? Is it a requirement that I tell a different medical examiner of this “diagnosis”.I feel like I have been caught in a trap because my old company has used the same examiner,and even they are complaining that the doctor is sending everyone to the sleep clinic who is overweight.He has a nifty little flyer he hands out to refer you to a certain clinic,how convenient.All I want to do is comply,and go to work Long Haul.What can I do? does the Trump action benefit me in any way ? Hi Rick. My name is Brandie StJohn and I am a Registered Sleep Technologist and a Certified Clinical Sleep Educator in Northern California. I would be more than happy to assist you on becoming compliant with your therapy. I have worked with many patients to be successful. With a short medical card you are going to run into the same problem with any training company. The question is – do you really have sleep apnea? Because if you actually need to be on a cpap you will need to meet the compliance regulations for cpap. Saw on national news that President Trump has halted DOT involvement for drivers that they SUSPECT with sleep disorders. Is the true of false? Please explain. FMCSA is has said in the past, and is saying again now, that it’s up to the medical examiner to refer drivers for apnea testing if they “believe the driver’s respiratory condition is in any way likely to interfere with the driver’s ability to safely control and drive a commercial motor vehicle.” A respiratory condition is what any reasonable medical examiner has used to determine the need for sleep apnea screening, not a random pick of criteria (some committees have recommended to FMCSA in the past that were never a ruling), some have used for their gravy train agenda. I just received my BiPap a week ago and my physical is up for renewal. So therefore I will not have 30 days with it. What can I do to still get my medical card? The medical examiner needs a 30 day, 70% compliance report to be able to qualify you. It’s up to the examiner to maybe give you a short card to meet this compliance. Check with your sleep study specialist to make that determination. I need to know how long a sleep test is good for? I was tested in 6/2013, negitive results. But went for dot physical a couple days ago. They want me tested again????? If the original study was negative, then the examiner must be seeing something else that causes questions. When is a cdl driver required to report a sleep test?When the test is done or when the diagnosis is given by the doctor? When you complete the form for your DOT physical. Once your tested you need to get tested every 5 years roughly, each medical professional will tell you this if you admit to being tested. Is using cpap machine 21 days out of 30, and 4 hours per day on each of the 21 days 70% compliance rate? Your CME is going to want a readout of your last 30 days. Your math is correct as you interpreted the guidelines written here. Not sure how the CME will interpret this – that is where this issue becomes fuzzy. Does 70% mean I have to use machine 21 out of 30 days. Or use every night with at least 21 days at 4 hours or more. Most CME’s want to see at least 30 days with 70% compliance with a minimum of four hours a day. FMCSA recommendation. I was diagnosed with a moderate case of sleep apnea after an at home test. On January 2 I go in over night to have the mask fitting and to calibrate (I assume) the cpap. I am trying to get in to a trucking job. Originally I was given a 1 year card in MD and told I need a sleep study within the year to be able to renew. I then attended a truck driving school sponsored and run by a trucking company in Iowa, where the CME there refused me a card and said I need the test BEFORE they will certify. So I know that my MD card is no longer valid since I had a fail after ward. My question is, do I need 90 days of good data on the cpap (what the current company is telling me) or just 30 days for the CME? I’m asking because I have an opportunity with another company that will accept my MD card (if I get one) and not force me to retest, and quite honestly 30 days of no income is easier to deal with then 90 days. 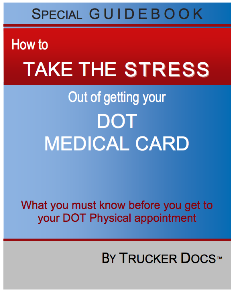 FMCSA says they want a 90 day evaluation with a 70% compliance before issuing a new medical card. And there may be an issue with the home study too. But check with the CME and see what he has to say, he may have an alternate answer for you. I took your advice and called my local CME today. Was told they will take 30 days of data, and as long as I’m in compliance of 4 hrs min per night and 70% usage they will issue a 1 year card. I have had my cdl b for 15 years, i have not used it in 5 so i had it set so it could only be used in the same sate i live in with no dot physical. I am starting a new job on 12/27 so i set up a dot physical at my local doctors who also treat me for sleep apea. I am compliant with the 70% usage, but how will this affect getting my medical card, do i have to notify my new employer? All you need is to bring your last sleep study record with you to the DOT examination. The CME will note that you are compliant and he will issue you a one year medical certificate so you can go to work. You do not have to volunteer any information to your employer, unless they ask. I have mild to moderate OSA and I use a prescribed oral appliance that brought my AHI from 9 down to 2. The DOT physical Doc said I need a new sleep study for my medical card because the last diagnostic was to adjust my mouth piece and the last basic sleep study I had on record was in 2012. The Doc said I need a diagnostic for the whole night without all the wake ups for adjustments. Should I sleep with my mouth piece in for the study. You want to be able to demonstrate to the CME that the mouth piece is doing its job and that you do not need a CPAP unit. new cpap machine so I could pass my physical. My old machine did not record the usage. Recently passed 30 day compliance on cpap machine,received one year medical certificate.My question is during this next year will I only need to be 70% compliant on cpap machine to receive another medical certificate. I work for the pbcsd as a bus driver and just recently had my dot physical and was sent to do a sleep study. The machine they gave me for home use to see if i had it didn’t work well but for some reason the doc said I was positive for sleep apnea. My question is can my pulmonary specialist override this decision? I believe these tests are designed to fail drivers as to soak up insurance money and or the money of us hard working drivers. Get a second opinion from your primary doctor and your pulmonary physician, along with a medical release form from them and you should be in good shape. Have been unemployed and am looking to go back to work . Current medical card expires December /16 , new job requires new hire medical card certificate . Not 100% compliant with the use of c-pap machine and card was put on hold by ME till she receives more info from my personal MD as to treatment . Is a letter of opinion exceptable over data or not . Or submit limited data . Only use machine sparingly due to the fact that I sleep better on my stomach and don’t exibit the more severe systoms of sleep apnea . If I’m understand correctly ME should certify for 30 days and collect data , if sufficient then add 60 days and collect data and if found in compliance an additional 9 months added to make a year total . Then a yearly certificate unless found non compliant. Any recommendations ? FMCSA wants at least a 30 day in compliance report for OSA. DOT examiners have the freedom to work with you, but not sure about your scenario of 30, 60, and 90 days. If the VA moves you to the TAP and it works, then have your doctors fill out a medical release form for you and take it to the CME doing the examination. Also explain that you are not an OTR driver and that you work and live locally. Ok, I will try this… do I need to do this before my next dot physical then… being that they want to see I am complies every year …and do you have an example of said medical release form and what it should say… or just wait??? Medical release form – click on the link! I am a mechanic with a class A CDL because my company requires me to have one to move equipment. I just went for my recert and was given a 90 day card to get a sleep study, After working all day the technician met me at the garage and fit me with an at home sleep test that I found very uncomfortable an stressful to try to sleep with, on top of being sweaty and dirty so the leads had a hard time sticking to me. I was given the results of my test was 12 AHI, the tech said he has never passed anyone who has a study and already had the CPAP machine ready to hand me I tryed the face mask and found out no way could I sleep with them, I’m now trying the nose pillows which were comfortable enough to sleep with, but the machine and its auto pressure would change so much that I started finding it hard to breath because of pressure, when i open my mouth i sound like a balloon that the air was let out of as the air rushes to escape. I can literally hold my mouth open and the machine pushes air through my nose and out my mouth. After the air escapes I find it extremely hard to catch a breath because of the machine. After several trys I have given up, also everytime I take the machine off I have a headache for almost the entire next day. I now finding myself in non compliance and taking a chance at loosing my CDL and my job. Now sure what to do. As I am a mechanic I do not drive more than 15 miles in a commercial truck a day tops. Best bet is to get a second opinion from another CME. Home study test are unreliable and in most cases not accepted. The most reliable testing for the diagnosis of OSA is a clinical study. Home testing is simply not as reliable. But there are clinics and examiners that are interrupting the FMCSA guidelines to their advantage. Here are the recommendations from the scientific study. Nothing about treated ahi, but an untreated less or equal to 20 ahi is recommended to be certified. Where are these CMEs getting 5 or less??? You have been on the CPAP for a while and it would be nice if your numbers were a little lower, but they are not out of sight and your compliance is good. Try getting a second opinion or talk with the examiner and see if you can get a short, 30-60 day, medical card to let you try to get your numbers down a bit. If you go intra-state only, then you may be good to go. Interstate drivers have a different type of lifestyle and this sleep apnea issue is about safety to the driver and the public at large. Check with your local drivers license department and see what they have to say. I was diagnosed with very mild sleep apnea a few months ago, I have no symptoms and I’m often told that I have more energy than any other person in my company, and I’m twice as big as anyone. Ever since I started to use this machine I have been losing sleep, surprisingly I have not yet suffered any extra tiredness or negative effects other than the emotional strain of feeling like I have had my dignity and freedom taken away. I get no benefit at all using this machine, it has only reduced my quality of life by keeping me tethered to it. I told the sleep doctor I have been seeing that I don’t need this, he says if he were to say that I don’t need the machine, and I we I told the sleep doctor I have been seeing that I don’t need this, he says if he were to say that I don’t need the machine, and I were to get into a wreck then he would be sued. On top of that he has not directly called me a liar, but heavly implies that I must be lying that I have no sleepiness. I’ve been reading a lot of medical journals and Dr. blogs, apparently no one even knows for sure if the CPAP machine even has any positive effects on people with mild sleep apnea, I know for a fact it has only had negative effects on me. I gave it a shot and I refuse to live like this, is there anything I can do or say to get this doctor to sign off on me not using the machine, I don’t think he understands the rules, what can I do to convince him? Sounds like you are between a rock and a hard spot. If you explain to the sleep doctor that you are not sleeping well with the unit, then he needs to be working with you. Most drivers that have sleep apnea and use the CPAP, won’t leave home without it. Your sleep doctor can release you from usage if he feels that you don’t really need it and he is not being held responsible for anything. He may be over-reading the guidelines. Just try to get your point across to him. If he does not understand, then try for a second opinion and see what they have to say. I having been setting up truck drivers on cpaps for years. And have seen plenty of mild cases where I honestly feel bad they have to be tethered to the cpap just to keep their job. I do my best to fit patients with the correct mask, and that’s what it usually comes down to, finding the right mask that will let you sleep comfortably. If uncomfortable your body will let you know in the middle of your sleep causing you to wake. Also many of todays cpaps have plenty of comfort features, features that can make a difference in your compliance. Google your cpap unit and find out all the comfort features it has to offer, or just ask the Therapist to explain all features. Most of these features are defaulted “off” when unit comes out of the box. Check with your machine manufacturer and ask them, they should have a way for you to do what you’re looking for. I have been denied a recert card. for not having “90” days of compliance reports. I have a “NEW” modem data cpap machine thru the VA . I provided dot doctor 8 days of data , a letter signed by my primary physician, letter from sleep therapist”MEDICAL RELEASE FORMS ALL SIGNED SAYING OK TO DRIVE”.. This was new machine and could only provide 8 days compliance . I have been on cpap machine for 18 of my 33 years driving . I have my prior machine but from different physician and he has retired i cannot get the data.The machine shows 8987 hours use at 90 %. I have offered to bring it in to the dot doctor .That was turned down .. QUESTION is if they allow 90 day cards for the dot doctor to initiate a sleep study and then 30 days and follow on compliance reports in the case of dot doctor ordering it. Why would i not be allowed to have the 90 day recert card in order to allow my VA primary doctor and my sleep doctor to print out the data even if its 30 days at time til 90 days is obtained..The dot doctor did not initiate the study nor diagnoses . I got new study machine thru VA because my primary doctor said after 5 6 years time for new study and machine ..I said fine .i love my cpap machine use it every night. Go get a second opinion. Someone is not fully understanding the FMCSA guidelines. Any CME is looking for a 70% compliance over any thirty day period. So if you use your machine routinely and are home most evenings, then you should be within compliance. Most drivers that we know, that need the unit, won’t leave home without it. Fight the discrimination, Public Law 113-45 prohibits forced sleep apnea study with out it being a rule. If 80 percent of persons have some level of Sleep Apnea then why do DOT certified doctors not require every one to be tested? Because it is not a rule that’s Why. Fat discrimination is still discrimination and is illegal. And Yes I am seeking help from the ACLU on this as well. Please help me raise enough money to fight the discrimination. Please share this. Thank You. I was ordered today to take a test even after I told the examiner I had no previous problems with sleep apnea. Because I am fat he sent me only giving Mr a 3 month card. Go somewhere else for a second opinion. No new rules on sleep apnea, just someone over-reading their interpretation of the FMCSA guidelines. I have just been to dot doc to get recertified, I have sleep apnea, this doctor told me I have to have a sleep study every year to be recertified. I gave him the print out of my usage and I’m 95% compliant. the doc said this report is not enough and he has to see a report of two studies every year. is this true? The guidelines are being over-read by the CME. If he is requesting an additional test then he is not understanding the guides in their full ramifications and how it effects a drivers lifestyle. Best bet is to go and get a second opinion from a different CME. Since when did a company make that kind of a requirement? If your present unit has the capacity to download your reports for compliance usage, then you do not need a new unit. Now if they want to buy you a new unit that fits their new request, hey why not. NRCME only needs a readout of your unit, not a cellular modem. Since there were no new rules regarding sleep apnea, then there should not be any new questions. Now the new medical examinations that will be in effect by the time she has to redo her medical certificate examination will ask if she has ever had a sleep study, then she would answer yes. Even with the test done and a valid confirmation that she does or does not have sleep apnea, she should not have to retest each time. If she does have sleep apnea, then she won’t leave home without a pap machine, it is a life saver for those with the condition. If she does not have the condition, then there should not be any further questions. If ask to redo the test at the time of the examination of her medical certificate, then it’s time to test elsewhere. I was diagnosed with severe OSA about 4 years ago Been on supervised treatment since then..
Have it bad.. AHI was 104..Heart would stop beating 4-5 seconds at a time..
Feel a heckuva lot better now that I’m in treatment..
However…Last year he built a Brand new 2 story office building with an in-house sleep center..
Trust your gut and also how you have been sleeping. Watch your own numbers, but trust how you have been feeling and sleeping. I didn’t have success with the cpap. It was too much constant air based on the events I had at my sleep study, in which I couldn’t sleep at all with all the wires and monitors. I’m on the apap now and have no issues with it. Not sure if you’ve tried it, but worth a try if you haven’t. Can my husband be disqualified for having serve sleep apnea if he is compliant? As long as he has been on the cpap for a while and he is 70% or better compliant, then he should be fine, if that is the only issue. I recently received a recertification med card valid for two years from the company that my carrier requires we use for exams. However, after sending it to the state, and the carrier I’m told that they will only update this physical for 30 days because “driver now meets the criteria for a sleep assessment” at a facility that I belive the carrier owns and operates. Obviously I’m concerned with the HUGE conflict of interest, and after reading this blog, I honestly do not believe i have the medical condition. Find out where they want to go with this. If they are requiring the test then they should be paying for it too. If you do not feel that you have the condition and they want you to pay for the test, it might be time to reconsider the job. My new company’s dot dr had me do a sleep study based on my neck size . My ahi was 5.5 . I have never had daytime drowsiness EVER. Now they are forcing me to use cpap . Since there were no new rulings regarding sleep apnea, then someone is overreading the guidelines. Try getting a medical release form from your primary doctor stating his professional opinion regarding the need for the CPAP and see if that helps. Your numbers would imply a mid case of OSA, but the mask may be more of an issue that your mild OSA. How can they make us use the cpap machine on our days off? Anything that is related to our jobs we should not have to do on our time off right? CME is looking for a 70% compliance, you can do what ever you want in your down time. Just make sure you can demonstrate proper compliance. I have a 78% usage but my AHI is 11…The doctor says it has to be 5 or lower for him to extended my medial card for 1 yr . 5-20 Ahi is mild apnea …so my question is. What is the Ahi compliance number for a new medical card. Is there a web site i can download the info from to take to my medical examiner if he is wrong. How long have you been using your unit and what does your doctor have to say about it? If you have been on the unit for quite a while and your doctor is monitoring you, then make sure you have a medical release explaining your situation. This is not an uncommon issue and needs to be supported by your primary doctors findings. In a perfect world the CME wants it under 5, but in the real world, those numbers vary. You could scan the FMCSA website, not sure you’ll find anything there. One dr is denying me a medical card because my ahi is over 5. The sleep clinic is telling me my numbers look good and is confused at why the dr is refusing me the card. Kaiser hospit here in california tells me they would issue me a mesical card but can not because the orignal dr hasnt issued a 1 yr card yet. Seems the drs and sleep clinic are on 2 different level of what is legal. So my question is does the AHI have to be under 5 to be issued a 1yr medical card? Your numbers sound good, not sure who is over-reading the guidelines. If the hospital can issue a medical certificate done by a CME on the NRCME, then get it from them. You do not have to have one card to get another card, as long as it is done by a CME on the registry. I recently had a sleep study done and was told I had sleep apnea, 9 others that I work with were told the same thing. I find it odd that the place that did the study also gave us the machines, could they be telling everyone they have sleep apnea just so they can get money from the insurance company? A very good observation my friend. My pulmonary doctor tried to read the card and said it would not download any information from the card. I had to take my CPAP machine in for them to read it. They also determined it was not saving the information to the card. The information on the card only shows 60% usage. What options do I have? It is not my fault that the machine is faulty. Try a medical release form from your doctor explaining the situation and an explanation about the CPAP card. That should help. I am currently being treated for sleep apnea by a low pressured cpap machine. I have a co worker that was “cured” of his sleep apnea by using a dental device. I have a one year medical card while he has regained his two year card. I am trying to decide if a similar device is worth the expense. After speaking with a sleep specialist dentist I have learned the new oral devices have chips/card as well. I haven’t been able to locate anything on medical recertification in regards to sleep apnea and oral devices. Any help or info is greatly appreciated. Only heard of this device recently. Not sure how FMCSA is going to rule on this. Diagnosed with sleep apnea and treated with a medical device, if the usage can be confirmed and there is at least a 70% compliance, then you would have to take this issue up with your examining CME. Bring a medical release form from the dentist along with information about its usage and you will, probably, get a one year medical card. Not sure about a two year card with diagnosed OSA. Iam really worried right now.i just dropped off my cpap data to a concentra.my compliance was just under 70 %.it was65% I have only been on my machine for a month and I used it every night.i hope I don’t lose my license over this.i know I can get better at using it.they told me the doctor will call me later or by tommorow.is there any kind of way to get an extension.my card runs out in 2days. Maybe, since you just started, but you need at least a 30 day with 70% compliance. If the CME understands, he may do another thirty day to see if you are doing OK. BUT, that’s all a maybe. When I got my last medical card, they gave me a 6 month card and required me to get a sleep study done. This wasn’t really explained to me very well until it came time to renew. They told me in order to get a new medical card and be legal, I had to get a sleep study done. It’s entirely way too expensive. My medical card expired and my Texas CDL was automatically downgraded to a regular license. Do I really have to get a sleep study done? There should be a series of health criteria evaluated by the CME before anyone would recommend a sleep study. If the CME based their findings on the easiest things, like neck size and BMI, then you should just have the DOT exam redone somewhere else and go from there. i have never had a problem being sleepy at work one day I went to my DOT physical he took out the tape measure my neck was 15 inches borderline ? I did the sleep test got pulled off my job put on disability 45 days 2 years ago , I struggle with my mask I can’t sleep because I’m constantly messing with it or it hurts my nose , my dog chewed up my mask a couple montages ago I was off it for 3-4 weeks before they would approve a new one now I am due for my physical again this month I just went to download and I am under I am at 62 percent supposed to be 70 I really have been trying I feel more tired from stressing over that Cpap every night what will happen when they see I’m not 70 percent? I can’t afford not to work ? FMCSA wants a 70% compliance readout. If you explain your situation, you may get a very short card to get your readouts to where they need to be, maybe. Also talk with your cpap people and tell them about your not being able to sleep with the present units mask. They should be able to help you out with this issue. Hello doctor … thank you very much for this blog… very very helpful!! I am a Physician Assistant- C in California and I have been encountering problems with the OSA patients. They are coming with some kind of report -compliance summary from their sleep center with several graphics and numbers which I get an idea if they are mostly in compliance and review the AHI …but I really feel umcomfortable reading them and assuming the interpretation of it. Should this be done by a MD or technician trained to do so?? Will FMSCA be OK with me reading them?? Patients are getting upset when I ask them to bring me an interpretation of it and even the MD or techs at those sleeping centers are getting upset when I ask them for it. They state “that is what they give everybody” to the police dept, firefighters, DMV, etc…and I should know how to read them!!? I have no problem with learning…but again, I am not trained to do so…should I?? Isn’t like sending an EKG to a dentist and ask him/her to read it?? Read all the article on Sleep Apnea Screening in this series to understand the issues and your rights. You already have a two year card. If you have no medical conditions that would indicate possible sleep apnea, do not do anything. When it’s time to renew your medical card, find a doctor who understands how to fairly and appropriately apply the FMCSA guidelines. I am 53 old school bus driver of 11 yrs. who holds a class B in Texas who has sleep apnea. I went for my yearly medical exam to re-new my medical card. I have been told by my employer, almost 2.5 months after the physical, that I have been disqualified by the DOT examiner because of low readings on my sleep apnea test a month earlier, from my medical doctors office. I went to my doctor and he told me his notes did state I should be cautioned when operating a motorized vehicle due to severe apnea. They gave me 3 days to get this changed or….restructured. My doctor also said his notes were public knowledge to DOT and he could not re word anything. He did give me a note stating that I have a machine that is older, which does not retrieve or download data. He also stated I am in the process of getting another machine through insurance which is a process, but he feels using the old machine will help until a new CPAP machine arrives. Also, that I am doing everything in my power to comply with my CPAP and DOT. Is there anything else i can do to get a temporary card until then to continue to work. I use my machine daily, not drowsy during day. I feel like I am being held hostage for my medical card. They don’t seem to care one way or another. What can I do at this point? I think you have done just about anything that can be done. Not sure about your records being public to the DOT. Without your consent that is a breach in HIIPA compliance. Try having a medical release form completed by your doctor explaining your situation. That is about all you can do at the moment. With the release, you may be issued an extension, but don’t count on it. Can a Montana cdl holder drive while using an oxygen concentrator ? Regular physician signed off on medical card lung specialist says else what and who do you go by? If the doctor who signed off the medical card is a CME, then you can go with that. If he is not a CME, then you will need to have your lung specialist complete a medical release form explaining your condition and supply a report for the CME to make the final decision. I was diagnosed a year and a half ago by a medical equipment company administering the home test. I do not believe I have this condition. I’m divorced and severely hampered financially with alimony payments. My insurance didn’t pick up a dime of this bill, which was close to $2000. To make a long story short, they are holding my compliance report ransom over the billing. My medical card expires in two months and I’m looking for other options to get the report. I have obtained the software for my machine to print it out myself, will the medical examiner accept this? If not what other options do I have? There’s no way I can come up with the $1200 balance in what time I have left. If you have the ability to print out your records, then you might be able to find a CME who knows how to read it and then go for your DOT examination. The CME’s are looking for a 70% compliance, but not everyone understands the readouts. That’s where I’d start and go from there. This outfit I purchased my machine from has been nasty people. They threatened my license repeatedly. My first physical after my “diagnosis” they demanded $240 for an “annual monitoring fee” and refused to fax the report to the doctor until I gave them my credit card information. The doctor actually stayed an hour after his office closed waiting for it. This year they are demanding even more. They’re holding the report ransom. I wish I had recorded audio of my conversations with them on the phone. I also called another medical equipment company in my hometown Today and was told that I could bring in my machine’s SD card and they would generate the report and print it out for $20.00. Is that acceptable as well, or do I need to keep dealing with these people? For someone who is supposedly in business to help me sleep, they’re not doing a very good job, I’ve lost many nights sleep as a result of their constant threats against my livelyhood. People like you describe don’t deserve your business or your money. Spend your money where you can get the report you need, and the FMCSA / medical examiner will not have a problem with it. 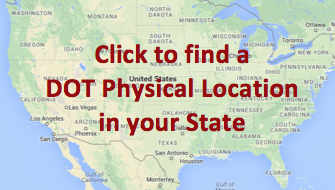 Find out what the DOT doctor requires. I’m not positive if they just want a printout or if the sleep doctor has to sign off on it as well. I’m pretty sure they want a report from the sleep doctor stating that you are using you’re machine and it’s working properly. That’s what i get and the sleep doctor signs it. Another lucky driver that was told I must get sleep test. 6ft and 211 pounds have larger neck. Anyway, I took home test and I was 17.1 AHI . Told the DOT DR that I do not need cpap per FMCA. I do not have sleepy periods during day. Got my One year card good now. But, what do I put on my form when I go back to CME DR for new CDL test next year? AHI <20 and no daytime sleepy , no crashes , NO CPAP NEEDED. I have been told they may make me spend another 900.00 dollars again to take another test. ? Your thoughts.. Thank you, for helping us daily drivers. You don’t have to put anything like that on the form. Just make sure that you try to find a Certified Medical Examiner who knows the difference between guidelines and regulations. If anyone starts with the “bmi and neck measurements”, get up and walk out, you are done there. Some one does not understand the rules and regs. If you stated that you had sleep apnea and you are using the cpap as prescribed, then your medical card is good for one year. And you would need a compliance note or report that you are using the unit. I would not worry too much about your compliance report until you have at least 30 to 45 days of usage. Not real sure what could happen if someone questions the length of the medical card, but that is not your problem, if you told the truth. In 2012 I took a sleep apnea test and the finding was the disturbance was consistent with a severe obstructive sleep apnea syndrome. CPAP was increased to 10cm of pressure and the results were “a very significant improvement in patient’s respiratory function.” The apnea/hyopnea index improved to normal. The lowest SaO2 recorded was above 90% and there was “no significant desaturation”. 2 days ago I went in to get a Dot exam for a CDL (I’ve never tried to get one before) and the Doctor stated I needed to take another test before going any further and gave me 3 months to complete this. I have lost over 30lbs (from 325 lbs) and am wondering if I need to go through the whole testing process again or just buy a CPAP machine and have it record the data. What is the best recourse for someone in my situation? What are the chances I could be on the road by June 1st? Get your recent primary doctor to complete a medical release form for you. Make sure he explains that you show excellent compliance with your CPAP. If your older machine does not allow a printout, then you might consider a newer machine. The CME needs to see proper compliance before he can move forward. I live in California I have been told I have Sleep Apena. In order to keep my commercial license. I will get my machine today and my question is in California is the a required time that I need to be on the machine before they will approve my license? For the FMCSA there is a minimum of 30 days before being given clearance to drive commercially. Not sure about what the republic of California may want. Check with the california DLD and see what they say, but federally it is at least thirty days. I have never had a CDL before and I got a job where I will be driving a Public Trasit bus. I went in for my DOT physical and was told becuse of my BMI I needed to have a sleep study done. So I was given a 3 month card. He also said it was because of the DOT. The examiner had a pad of referal forms from a sleep center that they do business with. After all the comments I have read on your site it seems suspect to me. I saw the questionare that the Sleep Center has and the only thing I have is that I snore. I am a morning person and have never been told I stop breathing while I sleep by my partner. Now I am not trying to get away with anything and want to get tested but my medical card expires in 2 months and it could be as long as 3 months before I can be tested. Is it ok to go and see a different medical examiner before my medical card expires? There are no new laws regarding sleep apnea, so go elsewhere. And if they start in with the sleep study, get up and walk out. Or ask “politely” to see the law. It ain’t there, so hold your ground or get up and leave. I went for my yearly DOT renewal and the Dr. wanted an evaluation from my Dr about Sleep Apnea. I have been on a Cpap for almost 3 years now nd use it every night. Can I be denied a renewal by the CME over Sleep Apnea? Yes, if you can’t or won’t provide the CME with the information that he needs to make a safe determination. Just get your primary to complete your medical release form for you and take your latest readout with you to the CME. That should do it. I’m using cpap as required , but my examiner says more information is needed . My current machine is not able to provide this , so their saying I need a newer updated version . These machines are not cheap and I,m wondering if I really need this or just a different examiner ?I have mild apnea and use the cpap over 90% of the time . Tough call. The challenge is to demonstrate compliance. Try getting your primary sleep doctor to complete your medical release form for you and take it back to the CME. Or you might try choice #2 in your question. My medical examiner is trying to tell me that there is a requirement to have yearly sleep studies done even with a diagnosis and effective treatment with a CPAP. Is this true? I live in NY. If you have your medical release form completed by your primary doctor and it shows proper compliance with your CPAP unit, then you should be OK. The examiner is just needing more information to back his decision making process.